My name is Ann-Cathrine “Anki” Molander and I live close to Jakobstad, Finland. At the age of 12 I bought my first poodle AgCH Nänsy and thanks to her my love to poodles and agility has grown to a huge interest. Nuns was one of the first agility champions in Finland. With her and me second poodle Nutlee Merengue we won bronze and silver in the Finnish Team Championships 2000 and 2001. 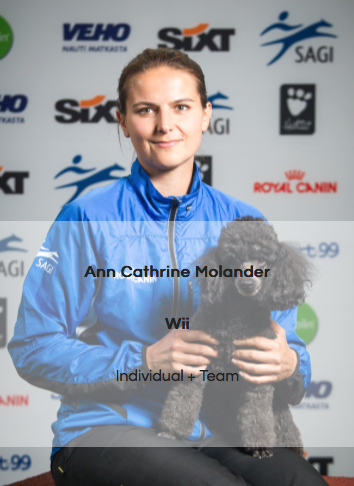 In 2015 and 2016 I was part of the Finnish Agility national team together with my own bred dwarf poodle Inwhite Love Twister “Wii”. The World Championships in Bologna, Italy was a great experience and in 2015 we also won team gold in the Nordic Championships and in 2016 in Lillehammer, Norway, we won silver, where we were also 5th individually. In 2016 it was time for the first border collie Wanderer of Saint Wendelin “Akira” to enter our family. In 2010 the first litter from Kennel InWhite was born. Dogs used in my breeding have show and agility quality, are genuinely health checked – x-rayed, eye and patella lux tested and have good temparement. 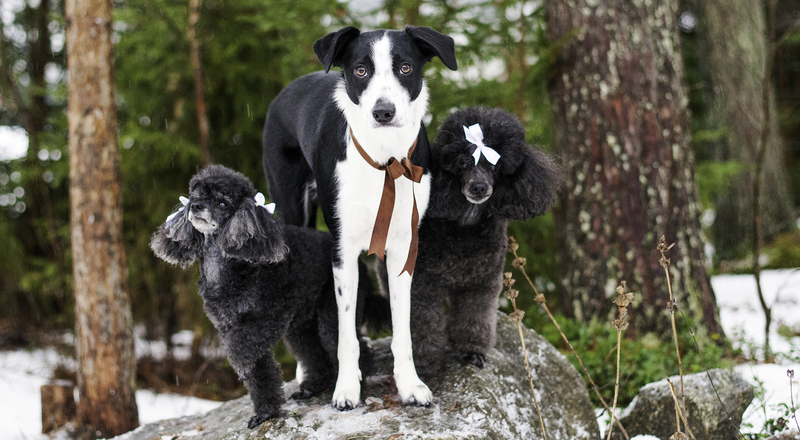 All of our dogs are beloved family members and my goal is to breed healthy and active poodles. Hei, etsimme kääpiövillakoira urosta ja olen ihastunut tähän harmaaseen väriin , olisiko teillä vapaita pentuja? Hei, Anteeksi huomasin kommenttesi vasta nyt. Valitettavasti ei ole pentuja tällä hetkellä. Terveisin, Anki Molander.